ISLAMABAD: The alliance of the joint opposition parties faces a major threat as the Pakistan People’s Party (PPP) has decided in principle not to vote for Shehbaz Sharif, the nominee of Pakistan Muslim League-Nawaz (PML-N) for the office of prime minister. PPP Chairman Bilawal Bhutto-Zardari Wednesday morning told journalists at the National Assembly that his party had conveyed its reservations to the PML-N over the nomination of Shehbaz Sharif for the election of the top slot and asked the former ruling party to replace its candidate. The PML-N, however, stands firm on Shehbaz’s candidature as the party went ahead with the submission of his nomination papers for election as Leader of the House (prime minister) with the National Assembly Secretariat. Senior PML-N leaders Khawaja Asif, Ahsan Iqbal and Dr Darshan submitted the nomination papers of the PML-N president. While the PPP and PML-N have locked horns over the nominee for opposition’s candidate for prime minister’s slot, Pakistan Tehreek-e-Insaf (PTI) Chairman Imran Khan has submitted his nomination papers for the post of prime minister. Imran’s nomination papers were submitted by Awami Muslim League (AML) chief Sheikh Rasheed on Wednesday with Rasheed acting as the nominator and Syed Fakhar Imam as the guarantor. Imran is set to take oath on August 18 (Saturday) while his cabinet will take oath on August 20 (Monday). PML-N Secretary Information Senator Mushahidullah Khan told Pakistan Today that his party had submitted the nomination papers of party president and now it is up to the PPP leadership to vote for the PML-N candidate as per the decisions taken by the joint action committee of the alliance. When asked to comment over the reservations expressed by Bilawal, Mushahidullah Khan said that if Bilawal has to take decisions on behalf of the PML-N, then he should empower Shehbaz Sharif to take decisions for the PPP. Mushahidullah warned that if the PPP did not submit to the decisions taken by the alliance, then the PML-N may move to replace Senate Chairman Sadiq Sanjrani. On the other hand, Pakistan Tehreek-e-Insaf (PTI) and its allied parties have already tightened their grip over the election for the next prime minister as its nominees comfortably won elections of National Assembly speaker and deputy speaker on Wednesday. The victory margin remained thin, reflecting that a united opposition may still prove to be a major challenge for the PTI. While Asad Qaisar secured victory over his rival for the election of the speaker with a margin of 30 votes, Qasim Khan Soori won by a margin of 39 votes against his rival from opposition benches. A source in the PPP said that party leadership was scheduled to hold a meeting to take a final decision about the election of the prime minister among various options available to the party. “Though Bilawal has flatly rejected any possibility for the PPP to vote for Shehbaz Sharif, the party’s senior leadership will sit to take its final decision on Wednesday night. Options available include abstaining to vote if the PML-N doesn’t change its candidate,” the source said, adding that the final decision would be taken by the party chairman in consultation with the party president and other senior colleagues. 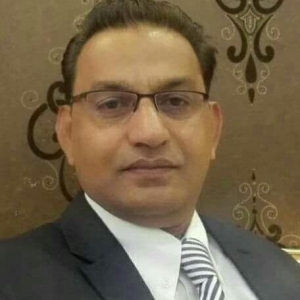 However, Rana Tanvir Hussain, a senior PML-N leader, out-rightly rejected the idea of reviewing his party’s candidature as the same had been decided between the opposition alliance. “The PPP had been conveyed about the nomination of Shehbaz Sharif in time. When we shared the name, they did not object to it. Their eleventh-hour objection reflects that something else is brewing,” he added. When asked to elaborate, Rana Tanvir said that perhaps the PPP leadership was feeling the heat from some other quarters which could be a reason for their reluctance to support the PML-N nominee. Leader of the Opposition in Senate Sherry Rehman also confirmed her party’s reservations over the nomination of Shehbaz Sharif. “Parliamentary party meeting had agreed that opposition alliance will nominate speaker from PPP, deputy speaker from MMA and prime minister from PML-N as part of the opposition. We have to forge consensus within the party so PPP has conveyed its reservations on the name of prime minister announced by PML-N,” she added. PPP leader Chaudhry Manzoor told Pakistan Today that his party’s leadership had timely conveyed its reservations to the PML-N leadership but the inflexible attitude of the PML-N leadership was causing a major damage to the opposition alliance. He said that the language Shehbaz had been using against his party’s leadership was a major reason for their reluctance to carry forward the opposition alliance and if the PML-N needs support from the PPP, it should change its candidate for the PM’s election. When asked whether there was a change of heart by the PPP at the last moment as suggested by Rana Tanvir, Manzoor said that there was nothing new as the PPP’s stance was consistent and clear. “Please recall that when Asif Zardari had visited Raiwind during the 2014 sit-in by the PTI, the PPP co-chairman did not meet with Shehbaz. So we are clear on our policy that the PML-N president is not acceptable for the PPP,” he added. 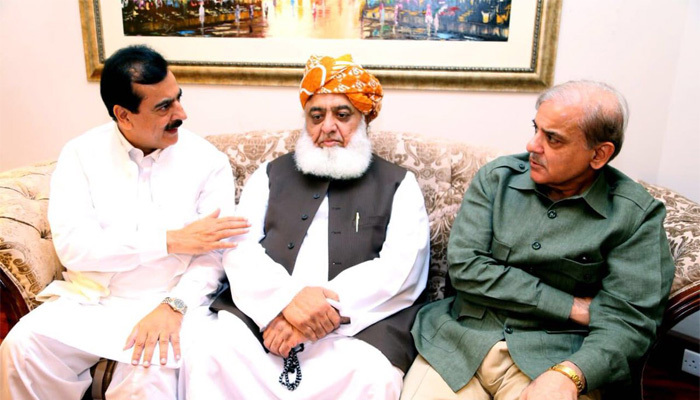 When asked why his party was still insisting on statements made in the past even though Shehbaz had apologised for his statements made against Zardari, Manzoor rejected the notion saying that apology was no remedy for derogatory remarks made time and again. “Apology is no way acceptable for the derogatory language used against a leader,” he concluded.